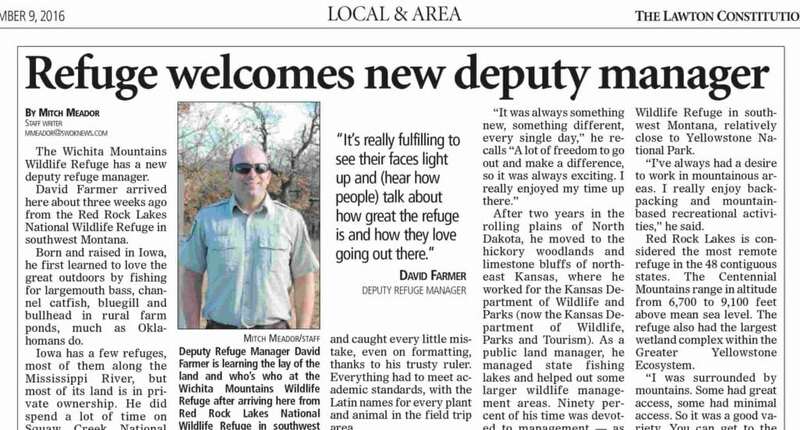 David Farmer is the new Deputy Refuge Manager at the Wichita Mountains Wildlife Refuge. He is getting acquainted with all the facets of the Wichita Mountains. The Lawton Constitution reporter Mitch Meador interviewed David this last week. Read the article here.